Welcome... to Blogtobia. : RPATZ: I'm OUT! PCN // The lovenest shared by RPATZ and KRISTEN STEWART! PCN // the den of love... with no more love! ROBERT PATTINSON has moved OUT of his lovenest he shared with KRISTEN STEWART! Stewart banged out her married-with-kids-director while filming SNOW WHITE and the HUNTSMAN... and the PATZ said, "I'm OUT!" But... look at the massive digs he left behind! WOW! 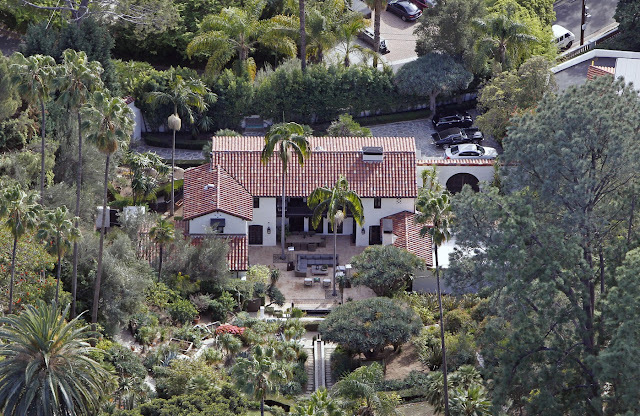 From PACIFIC COAST NEWS: Robert Pattinson has reportedly splashed out $6,275,000 for this estate in the Hollywood Hills. 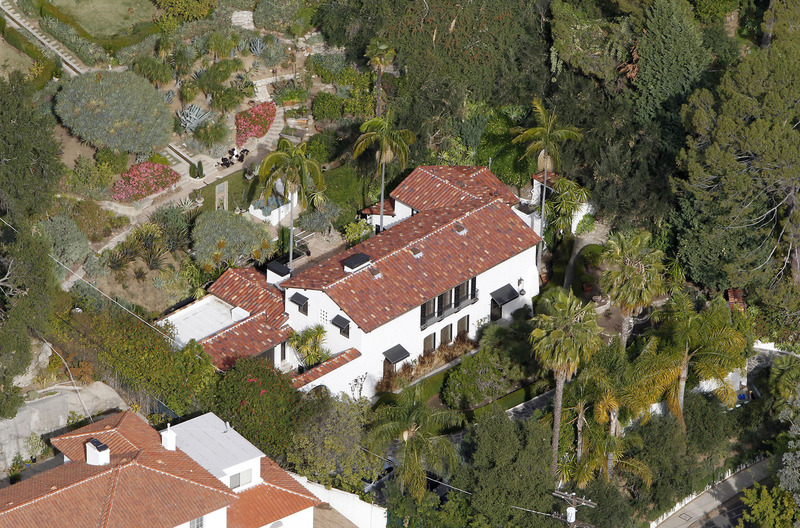 The Twilight hunk bought the Spanish Colonial-style residence through a trust in September of 2011. The walled and gated estate was originally built in 1921 and once belonged to actor Tim Curry. The grounds have extensive xeriscaped gardens, various terraces, amphitheater, and swimming pool situated at the top of the property.